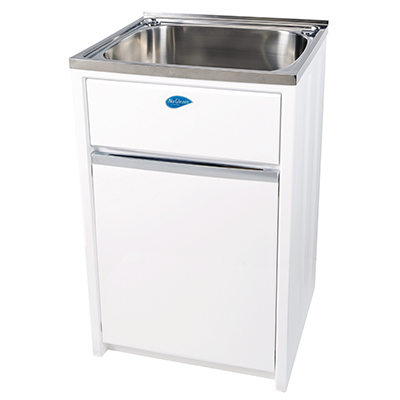 The simple, practical NuGleam™ Supreme Laundry Unit features a durable, low maintenance stainless steel square bowl with a maintenance free Australian Made polymer cabinet. The NuGleam Supreme™ Laundry Unit provides the style and functionality to your laundry. Pre-marked washing machine by-pass holes on the side of the cabinet walls for concealed connection of water and rinse hoses.